Mother’s Day, I woke up to breakfast in bed. What a great way to wake up! 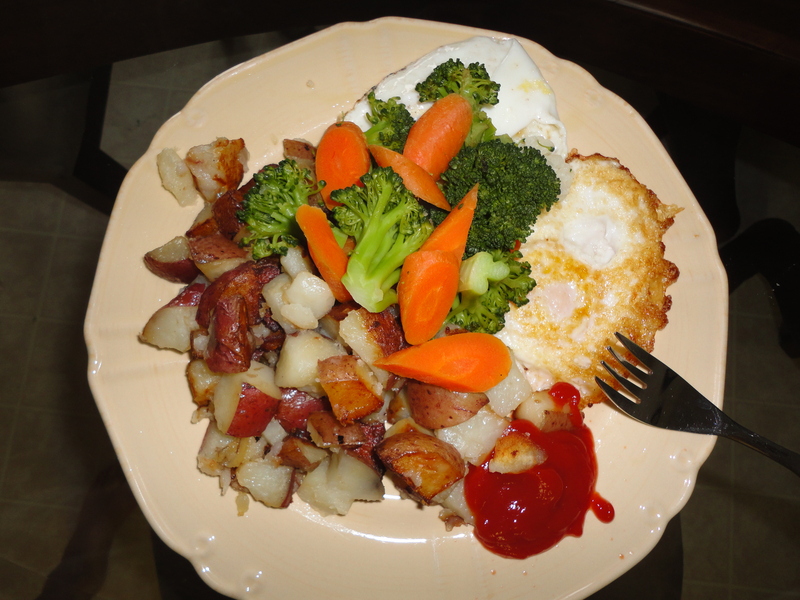 Eggs, fried potatoes and veggies… Except I opted to eat it at the table with my husband and son, because eating alone in the bedroom just seems lonely, and eating with the whole family in bed just seems like a laundry tragedy waiting to happen! Regardless, I loved the gesture. 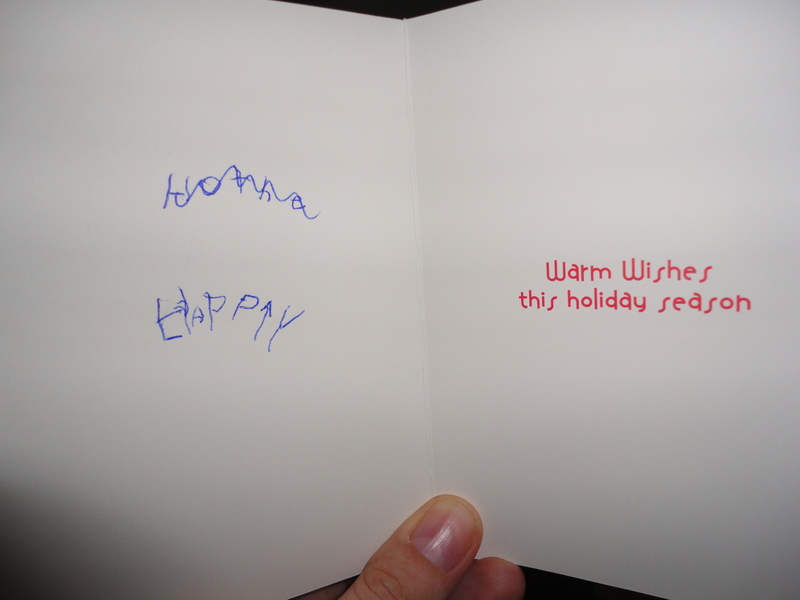 My son wrote me a Christmas/Mother’s Day card… He’s pretending lately that he doesn’t know how to read and write because the kids on TV don’t know how to read and write. So he wrote the word “Happy”, and then gave it to me with such love and such a showering of kisses that I thought it was perfect. Perfectly him at this stage. A very happy (and kinda belated) Mother’s Day to all the moms out there—including the step-moms, foster moms, moms-in-law, grandmas and mother figures. The love of a good woman truly does make a difference. Kissing under water has got to be overrated. Sort of like kissing on the edge of cliffs. LOL! Some things are just so much more picturesque than they are practical.